Synthetic polymers (plastics) are essential elements of modern life. The pioneering work of CSIRO’s Ezio Rizzardo, Graeme Moad, San Thang and co-workers in free radical polymerisation is now enabling chemists to produce polymers with tailored chemical structure and defined properties. The new process ‘ Reversible Addition-Fragmentation chain Transfer (dubbed RAFT) polymerisation ‘ provides a mechanism for precisely controlling the way in which small molecules are linked together to form large polymer chains. This work has revolutionised polymer synthesis and spawned a new generation of polymeric materials. Mankind will benefit from the improved performance of existing polymer-based products and devices, and from new applications in a wide range of fields including engineering materials, electronics, healthcare and biotechnology. RAFT polymerisation has created intense academic and industrial interest worldwide. Following the original CSIRO publication and patent, more than 50 companies have filed over 200 patents that depend on RAFT polymerisation for applications ranging from adhesives, hydraulic fluids and membranes to cosmetics, biosensors and drug delivery. CSIRO is exploiting its inventions through a technology alliance with the global science company DuPont. One of the first commercial applications of RAFT technology, being developed with a leading Australian chemical manufacturer, is a next-generation environmentally-friendly paint with enhanced flow, adhesion, abrasion resistance and durability. CSIRO has also undertaken an aggressive licensing program to realise the huge potential for commercialisation of products based on this world-leading Australian research. In the early 1980s a CSIRO team led by David Solomon and Ezio Rizzardo devised a radical-trapping technique that gave the world a deeper understanding of the chemistry of free radical polymerisation. During the next decade the team introduced catalytic chain transfer agents, macromonomers, addition-fragmentation chemistry and pioneered a form of living radical polymerisation mediated by nitroxides. The patent for this last invention Nitroxide-mediated living radical polymerisation (NMP) has been in the top 10 of the world’s most cited patents since 1999 (CAS Science Spotlight). The novelty and the potential industrial utility of their science was recognised by DuPont in 1990 and a Strategic Research Alliance with CSIRO formed. This has provided financial support for the team ever since. The team has continued to invent, patent and develop new methodologies for the controlled synthesis of polymers and it now holds over 50 individual worldwide patents in the field. These new developments provided access to a range of polymer structures that were not previously possible and gained the team an enviable international reputation. DuPont Performance Coatings are currently exploiting some of these earlier CSIRO patents in the production of environmentally friendly automotive coatings. In 1996 the above work led to the invention of a new process for the stepwise growth of polymer chains that is now widely regarded as the most effective, versatile and convenient method for converting monomers into a vast range of new polymers with tailored chemical architecture. The CSIRO team led by Ezio Rizzardo and comprising Graeme Moad, San Thang and other co-workers (Dr Gordon F Meijs, Dr Roshan TA Mayadunne, Dr John Chiefari) established that the process involves a chemical pathway of Reversible Addition-Fragmentation chain Transfer and coined the now universally-accepted terminology of RAFT polymerisation. RAFT gives access to polymers of predetermined molecular size with very narrow molecular size distribution. It also allows the controlled synthesis of complex structures such as diblock, multiblock, hyperbranched and star shaped polymers, polymeric microgels and nanospheres. 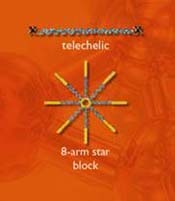 Controlled size and narrow size distribution are important because they desirably impact many properties, such as viscosity and processability, while structures such as multiblock and star shaped polymers have unique properties that are sought after for many applications. The highlights of the conference must have been the plenary lectures with such eminent speakers as Dr Ezio Rizzardo and Prof Jim Feast. Rizzardo unveiled a new system â€¦ the RAFT process. His talk left those of us who work in the field of controlled radical polymerisation more than a bit concerned for our own research as he showed case after case where his system could do things that others simply could not. Although the RAFT process is complex in its chemical pathway, it is straightforward to conduct and hence attractive to industry. It simply requires the addition of a relatively low-cost organic thiocarbonylthio compound (RAFT agent) to an otherwise conventional free radical polymerisation. The team has identified and patented five families of thiocarbonylthio compounds (dithioesters, dithiocarbamates, trithiocarbonates, xanthates, and phosphinyldithioformates) that have useful activity in the new process. Extensive research by the team, however, has defined the most effective RAFT agents and found that just two are needed to control the free radical polymerisation of essentially all known monomer families. They also established that the chemical mechanism comprised three sequential radical reactions, each governed by a complex interplay of steric, polar and bond strength factors, in tune with the required polymer-chain propagation reaction. In the past few years, more than 50 companies and institutions (e.g. DuPont, Ciba Specialty Chemicals, Orica (Dulux), Symyx, Arkema, Kaneka, Unilever, Goodrich, Goodyear, Rhodia Chimie, L’Oreal, Procter & Gamble and Carnegie Mellon University) have filed more than 200 patent applications that depend either entirely or partly on RAFT polymerisation. Most have appeared in the past 18 months. The proposed applications include adhesives, dispersants, viscoelastic gels, hydraulic fluids, cosmetics, membranes, photo-imaging, biosensors, and drug delivery. Operation of any of these patents will require a licence to the base technology from the Strategic Alliance and trigger a flow of income to CSIRO. The provision of a vast range of new polymers and potential applications, and the scientifically challenging mechanism of RAFT polymerisation, have attracted the attention of numerous researchers the world over. More than 2 000 papers have now been published on RAFT. The original CSIRO publication (Macromolecules, 1998, 31, 5559) has received around 1 500 citations (SciFinder) and was the most accessed paper from Macromolecules during 2008. The first RAFT patent (WO 98/01478) has been cited around 350 times and has been in the top ten of the world’s most cited patents since 2002 (CAS Science Spotlight). Twenty other of the team’s journal publications have each received between 100 and 500 citations. Several of these achieved ‘hot paper’ status (within the top 0.1% of papers in the world) soon after publication. Members of the team are sought after to present lectures at research laboratories and major conferences on both organic chemistry and polymer science. Over 100 plenary / keynote / invited lectures have been presented by the team throughout the world since 1998. Ezio Rizzardo teaching the RAFT mechanism. Ezio Rizzardo is internationally recognised for his outstanding contributions to polymer science. He has also received invitations to present named lectures in Europe and the USA, as well as numerous awards, including an Australian Polymer Medal from the Royal Australian Chemical Institute in 1992, a CSIRO Chairman’s Gold Medal, in 1992, CSIRO Medals for Research Achievement in 1990 and 2003, a RACI Applied Research Medal in 1996, the RACI H G Smith Memorial Medal in 2003, a Centenary Medal for Service to Australian Society and Polymer Science in 2001 and a CSIRO Lifetime Achievement Award in 2009. Moad G, 2009, Personal communication. Rizzardo E, 2009, Personal communication.